The story of the Holy Union Sisters begins in northern France in the turbulent years after the French Revolution. Four skilled needle workers, Louise Mennecier, Lucie Contraine, Marie Garçon and Josephine Pollet came together in their desire to deepen their spiritual life. They lived together in Douai, France in a small house where they assisted other young women in needlework and provided religious instruction to the children of the parish. When the recently ordained Abbe John Baptist Debrabant arrived at St. Jacques Parish in Douai, he served as the spiritual guide for these devout women. He supported them and they soon welcomed other women and children for instruction in their faith and other practical skills. Eulalie Ramon joined the group and she and Father Debrabant collaborated to reveal God’s love through the Christian education of youth. Their numbers quickly grew and Father Debrabant set out to obtain the recognition of the Church for this group of pious young women. In 1843 one hundred women first pronounced public vows as Holy Union Sisters. Proximity to the Belgian border led the group to establish communities and schools in Tournai and surrounding areas of Belgium. These schools responded to the needs of the area, rural or urban; to the desires of the families; boarding or day schools. The sisters taught children of all social classes. Before the 19th century closed, Holy Union Sisters were meeting spiritual and educational needs of Catholics in England, Ireland, Argentina and the United States. Diocesan approval of a canonical institute of apostolic women religious Formal title, Holy Union Sisters, signified the union of the sisters with one another, a union like that of Jesus and Mary. 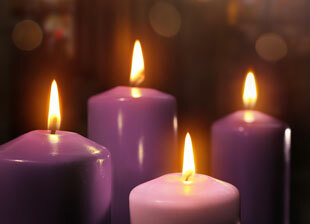 Moved beyond diocesan and national boundaries to reach out to the needs of the times. First welcomed by the Benedictine Fathers in Bath, England and soon went to London Invitation to begin ministries in Ireland, first in Banagher, County Offaly. When Fr. Debrabant died in 1880 at the age of 79, the Holy Union Sisters were firmly established in Europe. By the end of the 1880’s there were foundations in North and South America. In 1890, in response to a request made to the General Council, sisters were missioned to the West Indies. 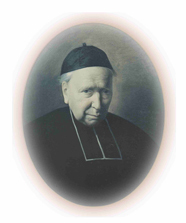 In 1885 Father Matthias McCabe wrote to Archange Lebrun, the Superior General of the Holy Union Sisters in Douai requesting sisters to staff Sacred Heart Parish School in Fall River, MA. Ten sisters set sail from France to New York City. They landed in Fall River on October 16, 1886.
Who were these pioneering women? Fortunately we know their names: Sisters Mary Eucharia Curran, Theodosie Woisard, Mary Michael Grogan, Ernestina Nolan, Mary Aloysia O’Brien, Therese Louise Warburton, Mary Brigitta Cooney, Benilda Devlin and Marie Octavie Canny. 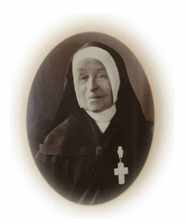 The leader of the group was Mother Marie Helena Daumerie, a Belgian woman who as yet knew no English, the language spoken by eight of the sisters. 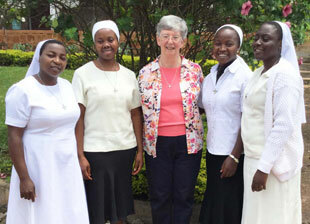 Sister Mary Eucharia had been included in the group specifically because she could help the others in preparing their classes and continuing their education. 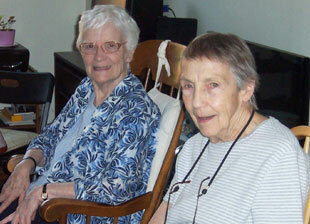 Soon the sisters went to Taunton, MA and Pawtucket, RI to offer religious education classes and to staff parish schools. They also established boarding schools and girls’ high schools in Fall River and Pawtucket. In the 1920s sisters moved beyond New England to teach in parish schools in Baltimore and Patchogue, Long Island. Prior to World War II, new missions had to be approved by the congregational leaders in Tournai, Belgium. Since contact with the Motherhouse was difficult during the war, only after 1945 did the sisters respond to calls to teach in Pennsylvania and New Jersey. Holy Union Sisters also went to New York City to teach in two already established parish schools. In 1946 two provinces were formed: the Sacred Heart Province and the Immaculate Heart Province. In the Sacred Heart Province, the Country Day School of the Holy Union began in Groton in 1949. This school continues to serve children in the Nashoba Valley area. Cardinal Cushing invited the sisters to staff Rose Hawthorne Elementary and High School in Concord, MA in 1950. In the 1960’s and 70’s following the 2nd Vatican Council, educational ministry was broadened to include religious education and pastoral work in parishes. Sisters also began to work in health care. While parish schools always had numbers of immigrant children, mainly French Canadian, Irish, and Italian, the 1970’s saw the sisters’ working with newer immigrants, including Haitians and Vietnamese. Sisters also went to Appalachia to work among the rural poor. In the late 1990’s sisters from the two US provinces decided to create a new reality by forming one province. With the theme of “The Journey Is Home”, members of the two provinces worked together to create a new reality. At a moving ritual during the annual province gathering, each sister signified her willingness to form once again one United States Province. 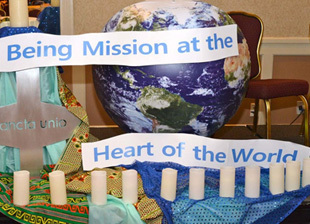 On October 16, 1999, sisters of the new United States Province along with international Holy Union visitors joyfully celebrated the new reality. Today Holy Union Sisters can be found in varied ministries always striving to form that union which their name signifies.